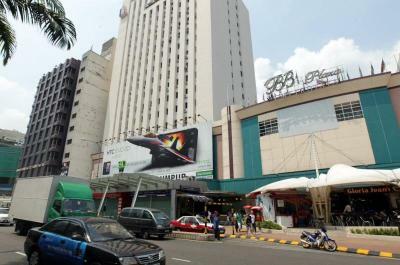 The Bukit Bintang Plaza located in the heart of Kuala Lumpur will be integrated with the My Rapid Transit project. Some call it urban renewal, others prefer to call it regeneration. Yet there are those who prefer a less politically charged term like transformation. By whatever name it is called, each of these involve changes to land use. The last several years, the Government announced several mega projects which involve some form of change in the use of land. There is the Sungei Besi Airport, which involves the conversion of an airport and its surrounding land into a mixed commercial project where hotels, service apartments and retail commercial space will be incorporated. In the case of the Sungai Buloh Rubber Research Institute, that involves the change of agricultural land to commercial use. While both involve changes of considerable degree, the first is a redevelopement, while the second is development. The dropping of the “re” carries huge connotation. In the case of development, the landowner has the mandate to plan what he wants out of that piece of land. He can carve it out how he pleases, in whatever shapes and sizes. He can allocate different purposes for each of the parcels he has carved out and can plan the timeline for each of the parcel and why the development of one should precede another, a developer in Section 13 says. He is the master planner. And his task begins on a clean slate where he wants to put the different buildings, and whether there will be a library for each of the community he plans to build on that piece of land. In the case of redevelopment, that freedom to do as he pleases may not be available, especially where the acreage is small, and on both sides gleaming structures are already in place. His task is to give new uses to the land but within narrow bands. He may demolish the tired-looking commercial building and put in a new one. He does not have wide perimeters to seek changes to the land use, simply because that would be dictated by land laws, which differs state to state. The above is a simplistic explanation between development and redevelopment. There are many legal and social issues that have been omitted about land use. In the Klang Valley, because of the high premium put on land, every little bit of empty land is used even when the structure is an eye sore. In other words, there is a lot of ad hoc development going on and some of these structures may seem totally out of place and out of sync with the environment. As one drives along the highway, out of nowhere, a boxy monstrous structure emerges from what used to be a field. Because the approval has been given, the road infrastructure has to change in order to provide access to that building and traffic has to be detoured and directions to enter the building have to be put up to lead traffic there. On one hand, it may benefit the authorities as an empty field generates no taxes, and they will have to pay staff to maintain the field. On the other hand, the community has lost another open space. It is a balance between revenue and social cause. Currently, the regeneration or renewal that occurs in and around the Klang Valley are economic driven, says a town planner. A developer who purchased a factory lot in Section 13, Petaling Jaya says when it was a factory, it was generating taxes of about RM40,000 a year to the local authorities. After he has put up the structure redevelopment has taken place the project is generating revenue of about RM900,000 for the local authorities. The same applies to the many serviced apartments that are coming up in that area. Serviced apartments, although with a strong residential element, are built on commercial titles. It generates a lot more revenue for the authorities than something that is on residential title. While it is revenue generating for the authorities, it is money depleting for those who buy into such projects because taxes and utilities are 25%-30% higher. These are issues that local authorities should consider as they approve a project on commercial land status. The same explanation applies to density. The higher a building, the more offices and residences and the higher the revenue it generates for the town council. Which takes us to the next question: Should renewal benefit the people or the developer and local authorities? It should not be a zero sum game. There are many models for urban renewal. In the case of Kampung Baru, it involves a parliamentary process. In Malaysia, and other parts of the world, land use is a political matter. It is also a state matter. Which may be the reason why there is no one-size-fits-all urban renewal policy. While the renewal of Kampung Baru is one model, it is a political decision and involves many stakeholders, there are other simpler models of urban renewal. A town planner who declined to be named says the changes that are still in progress in Section 13 in Petaling Jaya is another model, and one which is vastly different from that of the Kampung Baru renewal process. In this particular case, the landowners themselves took charge. “The collaboration among landowners in Section 13 would be among the more cohesive although there are challenges. Some of them had invested heavily in machinery and were not ready to move until land prices move further up. “Other landowners did not want to go into the challenges of becoming developers,” says a town planner who declined to be quoted. So they sell out to developers who are able to see the opportunities that such a proposition offers. Among the most popular form of developments seem to be high-rise serviced apartments targeted at the young professionals. Centrestage project by Cherish Springs Sdn Bhd will have 1,160 comprising 352 units of serviced suites and 775 office suites. There will also be 33 units of retail shops. F&N too is planning a RM1.6bil mixed development in its ex-dairy premises in Section 13. Approval for a F&N tower, a hotel, offices, retail outlets and residential suites is pending. The Pacific Star, with a gross development value of about RM900mil, will have about 260 serviced apartments and office tower and office suites. The project will be undertaken by developer Island Circle Development (M) Sdn Bhd, who is also building the 21-storey Pacific 63 at PJ Central, near Jaya One. Another serviced apartment project in that location is Avenue D'Vogue, with 300 units, by the Inspiration group. More of such projects are expected in the future. With traffic flow being a concern, local town planner Ahmad Jefri Clyde, the director of Garis Architects, has suggested inter-connectivity within the buildings in Section 13 in order to reduce traffic on the roads in that area. This loose cohesive structure came about because landowners were not agreeable to the proposal given by the authorities initially, which resulted in them coming together on a single platform to seek the help of a planner. This was the “workable model” for Section 13, the town planner says. There are a myriad of models. In the case of PJ Sentral, the regeneration work undertaken by Gapurna Sdn Bhd is slightly different. Gapurna owns the 12 acres located behind PJ Hilton and set up a company PJ Sentral Sdn Bhd to construct new structures after it has demolished existing ones. That is the plan. Gapurna's director Imran Salim says the plan is to have another hotel in the area, which will be competition for PJ Hilton, which is owned by Tradewinds Corporation Bhd. “Gapurna's objective is to develop a business district in that 12 acres to complement the surrounding areas like PJ 8 and other upcoming developments in that area,” says Imran, adding that there is a need for critical mass. “There is a need for a business district within Petaling Jaya,” Imran says. The projects he is considering will have a gross development value of RM2.2bil. Currently, what Petaling Jaya has are commercial areas located in each of the housing areas. Although PJ New Town used to be a centre of activities, the lack of work done there to renew the place has resulted in much of the renewal being carried out today outside the PJ New Town Centre. It is happening in Gapurna's PJ Sentral behind PJ Hilton and across the Federal Highway near the Tun Hussein Onn Hospital. This trail of renewal continues on to Section 13, as a source from the Petaling Jaya City Council says. In a way, it is this lack of focus to plan a proper district which has resulted in ad hoc groupings of new buildings and office towers coming together with serviced apartments. A single thread links them all, they are all built on commercial land status, which generate much revenue for the council. But spanking new buildings, hundreds of small apartments ranging from 500 sq ft onwards and retail may not amount to successful renewal of a township. Road infrastructures, open space and parks with ponds and other water features, recreational areas which may take the form of sports fields, libraries and games courts are part of the renewal equation. Unfortunately, these important pieces of the puzzle are missing in the regeneration that is happening today. Often, one may have heard about the proliferation of malls in Petaling Jaya and Kuala Lumpur and the weekends are used visiting one mall or another. That is because there is an abundance of malls around us. One one drives along Lebuhraya Damansara-Puchong, a monstrous brown building has emerged next to the highway. But are there new parks? This is a question only the populace can address and demand from their local representatives. Renewal is not only happening in Petaling Jaya. It is also happening in Kuala Lumpur. Recently, Tradewinds Corp Bhd said it will demolish the Crown Plaza Mutiara Hotel and Kompleks Antarabangsa to make way for the RM6bil Tradewinds Centre project. The company said the project will take about seven years to complete and is expected to commence in early 2013. The project will be built on a 2.8ha at Jalan Sultan Ismail, Kuala Lumpur. This is another model of renewal. In this particular case, two buildings will give way to several because the new structures will go upwards. The integration of Bukit Bintang Plaza (BB Plaza) and possibly the Yayasan Selangor building adjacent to it with the My Rapid Transit station in the new structure is yet another model. In this particular case, it is value-adding to regeneration because a new service, in this case a public rail project, will be incorporated. Which takes us to yet another question? Should renewal benefit the community and the rakyat? Certainly, otherwise, what's the objective of the renewal process if it were to benefit only the local authorities, or the developers or in this case, MRT Co? Should it be purely economically driven? No, there has to be a balance. In the case of the BB Plaza, public transportation will be improved by leaps and bounds with the rail service. It provides connectivity and at the same time, enables access and connectivity to business and commerce. It will also help to reduce congestion. While the inclusion of rail transport is a service, what good or value add do parks and green lung offer? As more people live in high-rise, and even if they do not, there is a need to link with the environment, with trees and parklands, to have a bit of space. In short, to get away from the maddening crowd. If one were to consider some of the world's most expensive and desirable properties, be it an office or a sanctuary to return to after a hard day's work, chances are these properties are located next to or on a park or some green open space. Consider Hyde Park in London, Central Park in New York, Hyde Park in Sydney. 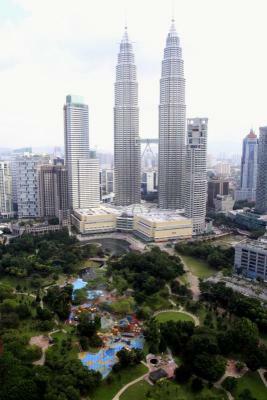 Closer home, there is the KLCC Park and The Binjai on the Park. Incidentally, that too involves a change in land use. That location used to be a race course, today it houses some of Malaysia's most desirable real estate. There is money to be generated in open space, but this channel is slower and more sustainable and more beneficial to the populace than just plonking a mall next to the highway, or a high-rise residential development next to a set of traffic lights. City Hall and Petaling Jaya City Council did not respond to questions or attempts to seek interviews with them.